GitHub - Babkock/Beatbox: Simple push-button drum sounds for PSP. Want to be notified of new releases in Babkock/Beatbox? Hello, I am Tanner Babcock. This is a restoration, out of several in a series, of one of my PSP homebrew programs. 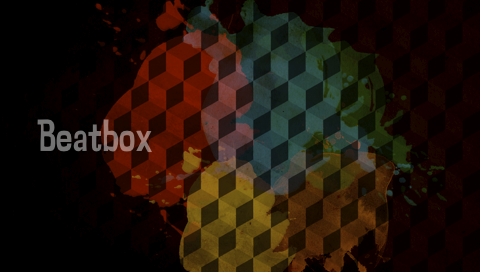 Beatbox version 1.6 was completed May 2011. The code was all written by me. Beatbox is a drum machine for the PlayStation Portable. There are four sound sets: rock and roll drums, hip hop, drums, and bongo drums. Change the sound set in the pause menu. Eight-key mode allows you to play eight different drum sounds, as opposed to four-key mode, which only allows you to play four different drum sounds. Toggle eight-key mode in the pause menu. As you play, lights will flash in the middle of the screen. You can edit the colors in the pause menu. Or, you can disable this function in the pause menu. If you have custom firmware or a homebrew-enabled PSP, create a folder named "Beatbox" in your /PSP/GAME folder, and place EBOOT.PBP inside of it.